Here at Fuse Lenses, we are dedicated to producing the highest quality lenses at the best possible price for all of your favorite name brand frames. When you place an order with Fuse, our optical lab technicians get started custom cutting your lenses right from sunny Clearwater, FL, USA. You can be sure that you will have some of the most advanced lenses on the market due to our strict standards and our extensive knowledge of the optical industry. Crystal Clear Optical Clarity? Check. Impact Resistance that exceeds ANSI Z87 standards? Check. Lens and color options for all your favorite name brand shades? Check and check. 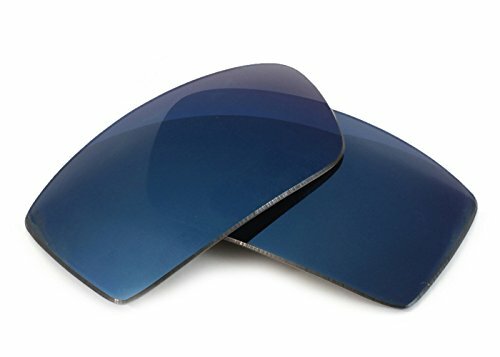 All this comes backed with an 100% satisfaction guarantee and an included warranty on our lenses. Reclaim your view with Fuse Lenses' custom replacement lenses. You can easily give any sunglasses a refreshed and updated look with our interchangeable lenses. Get the vision you deserve in the colors you crave with any of our 50+ color options available in crisp, optical grade material. See the difference for yourself! Upgrade your sunglasses today with a pair of Fuse Lenses. It is as easy as pop in, go out. Custom Made to easily interchange with your current sunglasses. If you have any questions about this product by Fuse Lenses, contact us by completing and submitting the form below. If you are looking for a specif part number, please include it with your message.